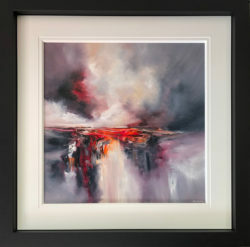 Artist Alison Johnson's atmospheric oil paintings are vibrant and seductive and focal points for any space. 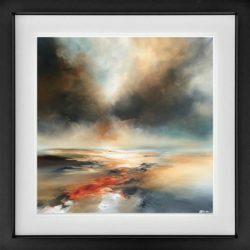 By conveying the power of light playing amongst the water drops, Alison shows the abstract, surreal side to the natural world. 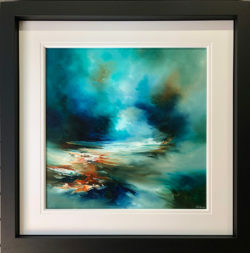 Alison Johnson’s atmospheric oil paintings are vibrant and seductive; a focal point for any space. Alison Johnson lives in Warwickshire and works from her studio based at Fargo Coventry. 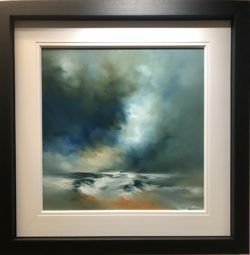 Driven by the desire to display atmosphere and emotion of a place, Alison expresses feelings through art that are often inexpressible through words. An interest in non-materialistic beauty has been a constant source of passion to the artist since childhood, be it relationships between people, the struggles of life and the ever-changing but constant landscape around. Fuelled by a previous career in nursing, Alison aims to combine these emotions in each painting. 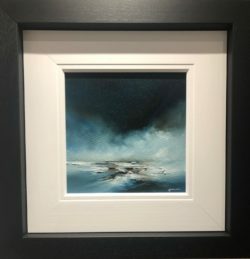 Music and emotion are translated through a visionary vehicle where the artist takes further inspiration from travel; feeling and seeing environments surrounding both raw coastlines and bleak, smouldering moors. Johnson’s subject matter follows a deep tradition which she has modernised and brought to a contemporary forefront. Various colours sink below a surface as oceans and landscapes drift in and out of a sweeping hazy mist. 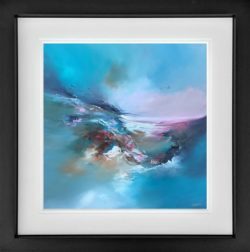 Ephemeral, warm, powerful and evocative, Alison creates a sense of movement through colour, light and balance. Johnson’s expressive handling of the world she depicts around her has the power to not only move the viewer but to make a lasting impression. 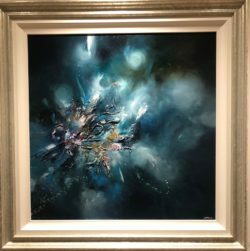 With a nod to the impressionist painters, Johnson’s work has been likened to the great masters of our time such as Turner. 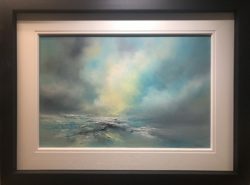 Since studying art, Alison has exhibited across the UK at various locations including London, Brighton, Chester, Wales, Yorkshire and galleries in the Midlands. Her work has additionally reached international scale with paintings hanging in Italy, France, America and the Middle East. Alison Johnson has completed various commissions with clients such as the Prince of Saudi Arabia and The Waldorf Hotel, London. 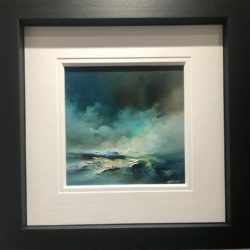 If you would like to commission your perfect original painting by Alison Johnson, please contact us at CLK Art.